Regardless of whether you’re worried about the pipes and pumping systems of your business or your home, it’s important to know the best ways to take care of these types of infrastructure as to avoid bigger problems in the future. But for most people who haven’t been trained as plumbers, even a basic knowledge of pipes and plumbing can sometimes be lost. 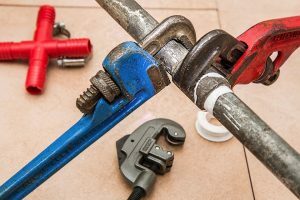 So to help ensure you’re taking the best possible care of your pipes, here are three tips to help with plumbing maintenance at home or at your business. While this may seem like the best way to get a quick fix when you have a clogged pipe or drain, Joe Bousquin, a contributor to House Logic, recommends that you never use chemical drain-clearing products if you can help it. When you pour these products down your pipes, they can often cause more harm than good. And if the integrity of your pipes are slowly compromised as a result of using chemical clearing agents, you will end up with much bigger issues to deal with in the not-so-distant future. So rather than going with this option, either try to clear the blockage manually yourself or call in a professional. Because almost everyone will experience some kind of issue with their pipes at one point or another, it’s important to know how to fix these small problems on your own. To best do this, you should try to put together a toolkit that has all the instruments you may need to tackle these problems. According to Cynthia Townley Ewer, a contributor to HGTV.com, this should include a plunger, a pipe wrench, and a snake for your sewer. With these items, you should be able to do things like unclog a drain, fix a drip, or unblock a toilet. One of the worst plumbing issues you could have to deal with involves having frozen pipes. If your pipes freeze, the water stuck in them could expand to the point of bursting your pipes, which can cause a lot of damage to your property. To keep this from happening, the Red Cross recommends protecting your pipes from the cold through additional insulation and artificially increasing the temperature surrounding them. And if you do come to find that your pipes have frozen, try to slowly apply heat to the parts of the pipe most exposed to the cold. But if you can’t find where the pipe is frozen, you’ll likely have to call in a professional to give you a hand. To prolong the life of your pipes and pumping systems, consider using the tips mentioned above to help you take better care of this area of your property.